Munich: Bayern president supporting pyrotechnics? Bavarian club’s president is known as a hothead, sometimes spilling new sentences before thinking. But usually those would be critical towards supporters. After all, Bayern is the club one would least suspect of supporting fan initiatives, with their approach towards ‘matchday experience’ expressed in Allianz Arena’s nickname, Arroganz Arena. This may be why media all over Germany seem to be quoting Hoeneß’s most recent words, first published by Suddeutsche Zeitung. “Naturally, flares look great. But then we need a safety concept. I support ‘pyro’ – as long as it’s based on safe ground rules”, said Bayern president, causing instant discussion over chances to reintroduce flares inside German stadia. 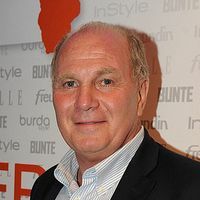 But it seems Hoeneß’s goodwill won’t be enough even to convince his own club’s board. Karl Heinz Rummenige, Bayern chairman, replied in Bild that there are only three things not acceptable and non-negiotable at Allianz Arena – racism, violence and pyrotechnics. He stressed that the club having to pay €130,000 fines per season is enough.